When you’re thinking about remodeling your Naples-area home, you need to keep an eye on expenses. We’ve all heard the stories about renovation projects that spin out of control and end up costing way more than they were supposed to. Nobody wants or needs that! There’s a flip-side to those stories, however. There are plenty of true stories about homeowners who tried to get a bargain on their remodeling project—and ended up dissatisfied with what they got. That’s no bargain! We firmly believe that you shouldn’t overspend on your remodeling project—whether it’s remodeling your kitchen, your master bathroom, or your whole home. But it’s important to keep your priorities in perspective. Your real goal isn’t to save money—it’s to improve the quality of life in your home. That means paying a fair price for what you really want. What matters is not how much you spend (within reason, of course), but what kind of value you get from the money you spend. So how do you ensure that you get the maximum value for the price you pay to remodel your Naples home? It begins with a clear understanding of what you really want—and the best approach for making that happen. That’s one of the benefits of working with a design-build firm on your project. You have members of the same team working on the design (plan) for your project and actually building it. Because this team is used to working together with a common objective in mind, there’s not disconnect (and no finger pointing!) between your plan and the execution of your plan. (Here’s a bit more information about the design-build process). Our design team knows what it takes to deliver the kind of results you want and expect from a home remodeling project. We keep abreast of new ideas and innovations in the remodeling industry, and we pass those things on to our clients. But most of all we listen to what it is you want. That’s what really provides the value you expect from your home remodeling project. And of course, we’ll keep your budget in mind as we come up with solutions that will make your home even more comfortable and inviting. 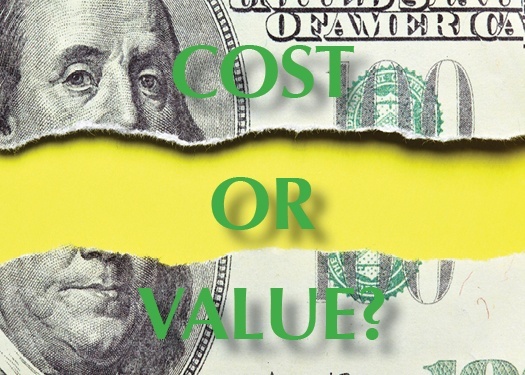 Is the cost of your remodeling project important? Of course! But what’s even more important is that you get great value for the money you spend to make your home a place you love to be!